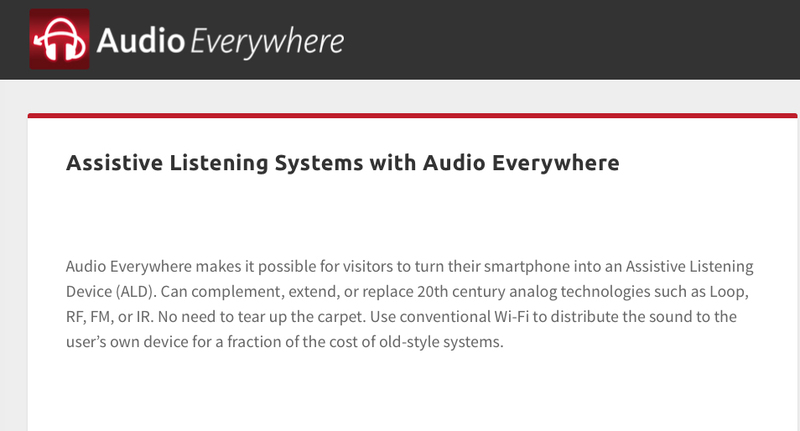 HavilahMedia is pleased to announce it has become a reseller and systems integrator for AudioEverywhere assisted listening systems. Audio Everywhere is scalable and supports from one to dozens of sources. Hundreds of users can access the system simultaneously, and most of them carry their own smartphones, which further increases visitor satisfaction and lowers your costs. You reach a wider audience and create more opportunity for increased engagement. Audio Everywhere works by sending the audio signals from a pre-amplifier or mixer digitally over standard Wi-Fi to Android or Apple smartphones and tablets. The low-cost ExXtractor replaces the old-style analog transmitters. With multiple Wi-Fi Access Points the system is scalable for virtually any venue.